The inventor of the automatic microphone mixer, Dan Dugan, celebrated his 70th birthday on March 20, 2013. His company—Dan Dugan Sound Design—is now in its 45th year. 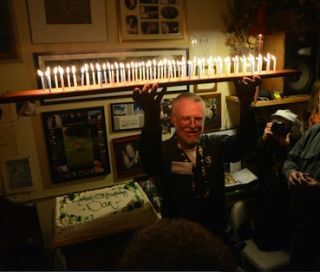 The company will debut a new product at InfoComm, the Dugan Model E-2 Automatic Mixing Controller.Dan commemorated his birthday over the weekend at his San Francisco lab with a few hundred friends.